The Health Information Management and Technology A.A.S. 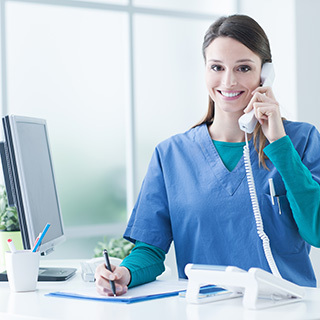 degree provides you with a foundation of skills to become a medical office assistant, health information technician, medical coding specialist and/or health insurance billing specialist. Health information technicians specialize in analyzing, securing, and maintaining patient health information, and may be responsible for quality assurance, computer information services and coding diagnoses and procedures for reimbursement. The degree program maps to the American Association of Professional Coders (AAPC) curriculum and graduates are qualified to sit for the AAPC certification Certified Professional Coder (CPC) and Certified Physician Practice Management (CPPM) exams. This degree provides a comprehensive overview of the tasks related to one of the fastest-growing career fields in the country. According to the Bureau of Labor Statistics (as of 2015), jobs in the health information technology field are expected to grow faster than average during this decade. Employment opportunities can be found in hospitals, clinics, insurance companies, government agencies and HMOs. Course content also focuses on ethics, security, communication and collaboration skills necessary in the rapidly evolving technical health information management field. Recent employers have included: Albany Cardiology; Albany Memorial Hospital; Capital Region Orthopedics Bone and Joint Center; Community Care Physicians; Hudson Valley Ophthalmology; Northeast Urological; Seton Health Physical Rehab. Common careers for students completing the Health Information Management and Technology degree include: Health Information Technician, Medical Office Assistant, Medical Coding Specialist, Medical Billing Specialist. Salaries vary based on position and degree attainment. Here is the median salary taken from the Bureau of Labor Statistics (as of 2017): Medical Records and Health Information Technician, $36,720.